I made these brownies too (from a box yo. don't judge. i don't like dessert.) I put one candle for every decade. 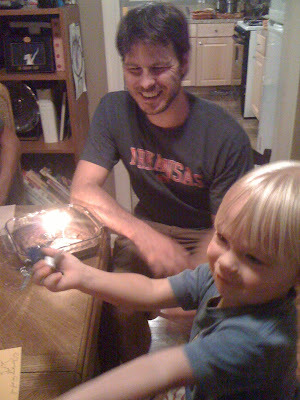 And we let Nate help blow out the "hot fire hurt you" candles. We all came home and napped and, when Nate woke up he asked for "strawberry ice cream" (which, i should mention, he has NEVER had before but was quite specific about) so we obliged since it was "daddy's birthday" and a treat. And, maybe, quite possibly dinner for all of us. Hmmmm these photos all look eerily similar! DAMN YOU iPhone. I will carry a camera again! 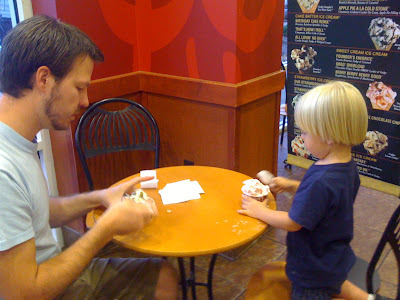 Anyway, we had a great (albeit calm and boring) weekend for his birthday! Love it! Cute cute. 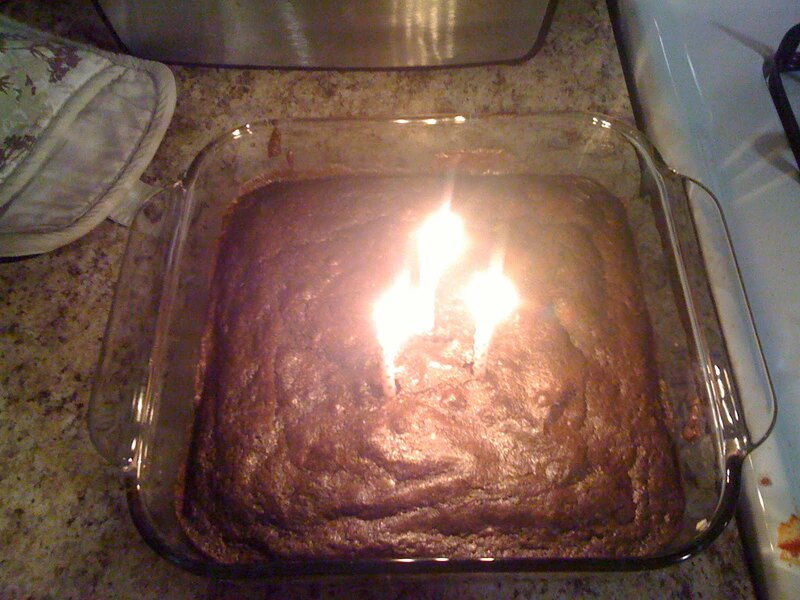 Those brownies look like they're on Fie-yah! (fire).. haha! 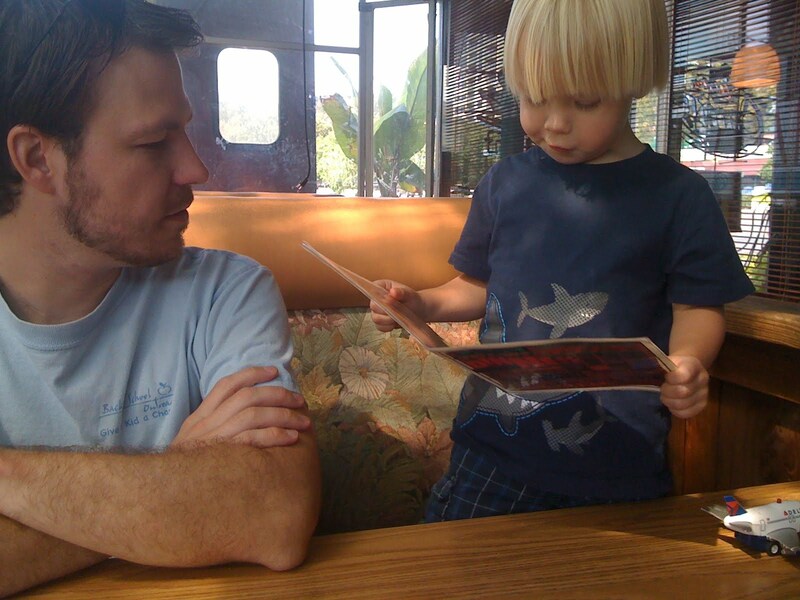 :) Love the "Nate is reading the menu to us" haha.. Awesome. Happy 30 to Karl! Fun! Happy bday to Karl! Sammy's 30th is next month and I'm hosting a Mad Men-style celebration for him. He picked the theme and insists that everyone has to dress up, smoke, and drink. ;-) I'm pretty sure that our 30s are going to rock! Happy (late) birthday to Karl! I still can't believe you don't like dessert. But, I love dessert and brownies out of the box are the BEST kind in my opinion :) Looks like you guys had a great birthday weekend! Nate is such a doll!! my brain just froze up and locked at "I don't like dessert." Does. Not. Compute. Me no understandy.